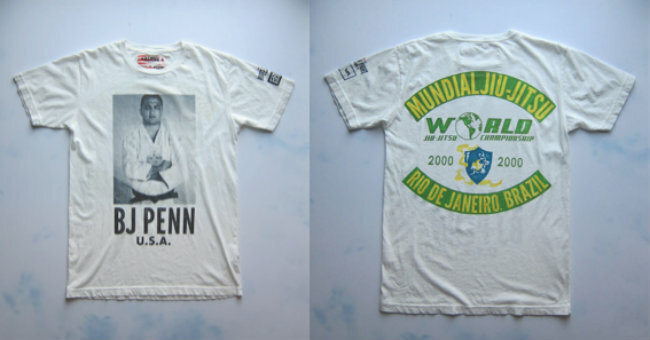 On Wednesday, February 18th, lifestyle brand Roots of Fight will release its collaboration with RVCA, a capsule collection of apparel that pays tribute to former UFC Lightweight and Welterweight Champion BJ “The Prodigy” Penn and historic roots in the sport of jiu-jitsu. Each piece of the capsule collection below will be available for purchase at rootsoffight.com, rvca.com, and select Roots of Fight retailers. To accompany the capsule collection, Roots of Fight will release a mini-documentary that explores the core concepts of the art of jiu-jitsu through a visual re-telling of how Penn used his natural talent and aptitude to become the first American (in fact, the first non-Brazilian) to win a gold medal in the black belt division of the World Jiu-Jitsu Championship. The mini-documentary includes never before seen footage from Penn’s championship run through the Mundials in 2000 and testimony from some of jiu-jistu and MMA’s top stars including UFC Hall of Famer Royce Gracie, current UFC Women’s Bantamweight Champion Ronda Rousey, legendary martial artist Bas Rutten, four-time jiu-jitsu world champion Rafa Mendes, and others including “The Prodigy” himself. Check out BJ "The Prodigy" Penn from Roots of Fight on the video below.